Absolutely stunning combination of plant and natural slate. 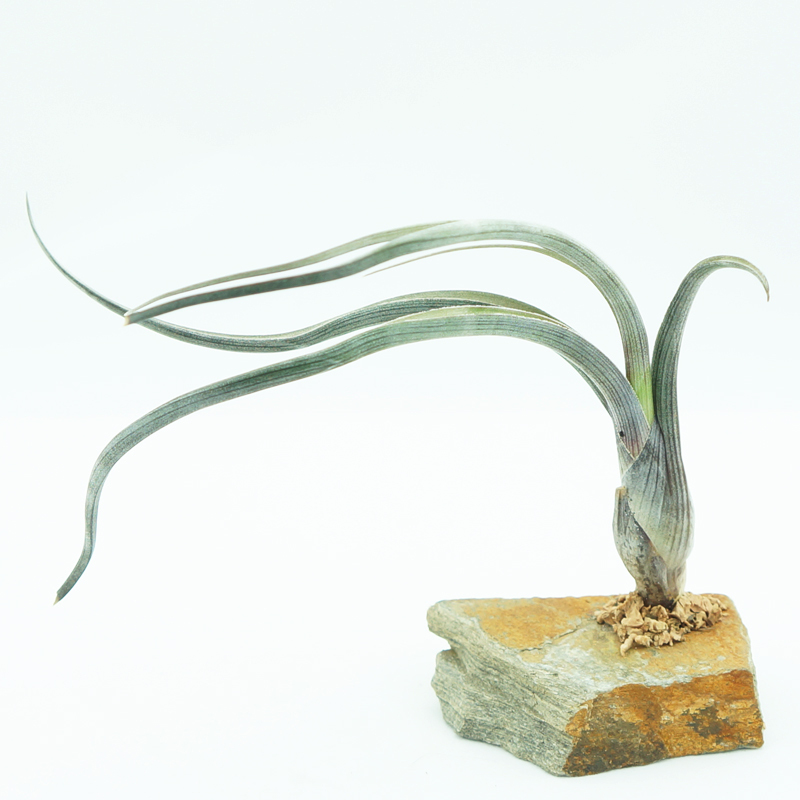 With a beautiful piece of stone like this, you need a stunning air plant to hold its own. Our air plant (tillandsia pseudobaileyi) does the job nicely! Looking for gift ideas? Uncommon goods? Our air plants make perfect gifts for any occasion and for any age!